There was once upon a time where crustless bread pieces were used to erase pencil marks. Tablets of wax were used to erase lead and charcoal marks, and sandstone was used to erase ink from parchments! 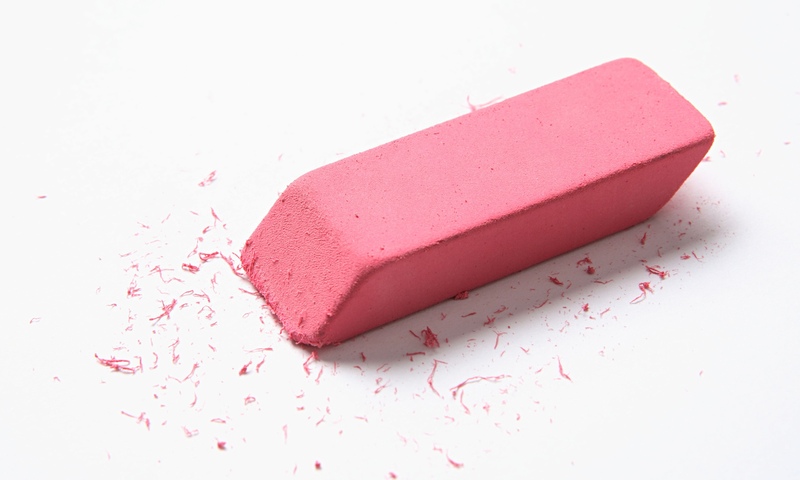 But now, thanks to Edward Nairne, the inventor of eraser, redoing mistakes on paper is no longer a tedious task! Shouldn’t we know more about the person who made our childhood easier with the eraser? Imagine scrubbing off mistakes using bread pieces! British Engineer Edward Nairne is accredited to inventing the first eraser and marketing it in Europe, although Joseph Priestly was the first person to discover the erasing properties in rubber. Edward Nairne was born on 1st January 1726 and was a skilled English maker of electrical machines. He also made mathematical, navigational and geodesic instruments. He then formed a partnership with his apprentice Thomas Blunt to make cuff microscopes that were easier to transport and handle. Not only this, Nairne had several inventions patented which were electrical machines. One such machine was the electrostatic generator consisting of a glass cylinder mounted on glass insulators. The device can supply either positive or negative electricity, and was intended for medicinal use. In the eighth edition of the instruction manual for this device, he claimed that “electricity is almost a specific in some disorders, and deserves to be held in the highest estimation for its efficacy in many others“. This was recommended to cure many health issues and disorders like nervous disorders, bruises, burns, bloodshot eyes, toothache, and many others. He was also the first person to construct the first ever successful marine barometer. This successful engineer honestly claims that he had accidentally discovered the properties of the rubber and then had invented it. History recites that he had once accidentally picked up a piece of rubber instead of breadcrumb and had tried erasing something he had written with a pencil. He started selling the ‘gum elastic’ as rubber. The name came from the process of ‘rubbing’ the mistakes from the paper. But this product smelt bad was sensitive to weather conditions and crumbled when it was used. The solution for this problem came in the year 1839 when the inventor Charles Goodyear invented the process of vulcanization. This process made sure that the rubber was more durable and it became a popular stationery item, found in every student’s pencil box. Times are changing at a constant speed and we have seen how erasers are going through a lot of changes themselves. We have ink erasers, colorful ones, the ones that can be attached to the pencil, charcoal eraser, etc. But the basic product remains the same. Thanks to Edward Nairne and Charles Goodyear, erasing our mistakes on paper is very easy. So readers! Spread the word and share about the inventor heroes without whom, our school homework would have become tedious. Without these two people, we would have all had to start from scratch for every small mistake for a neater presentation instead of quickly and neatly erasing the small mistake and moving on!